Patriot Memory today announces its new second generation solid state drives which comes with SATA II 3.0 Gb/s interfaces and 3x-nm MLC NAND Flash memory chips. Promising to deliver “the perfect balance of price and performance”, the new 2.5-inch SSDs offer read speeds up to 270MB/s and write speeds up to 230MB/s. 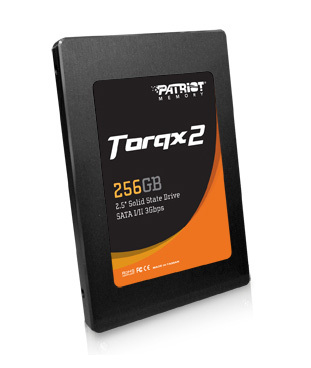 Patriot’s Torqx 2 has 128MB of cache, a MTBF of 1.5 million hours, also offers TRIM support and is available in 32GB, 64GB, 128GB and 256GB capacities for € 62, €104, €177 and €419, respectively.